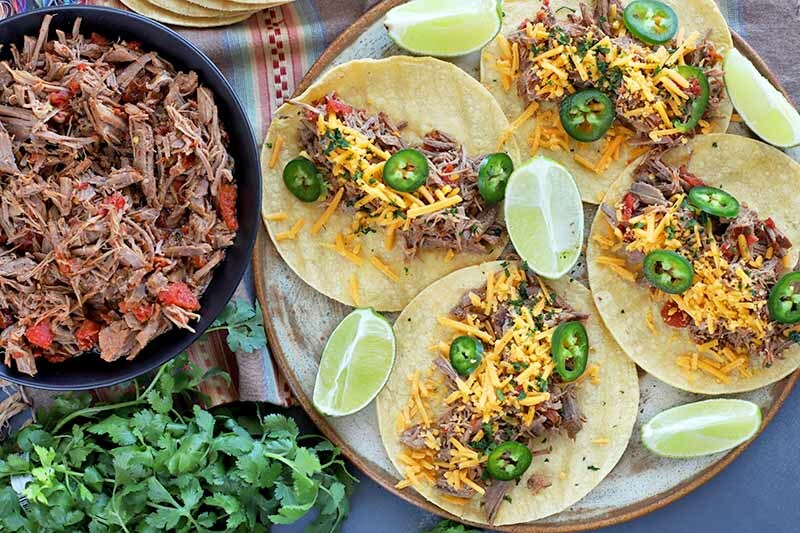 Our slow cooker barbacoa is a dish that does so much more than simply sitting on the plate. It’s versatile, flavorful, and oh-so-tender, not to mention incredibly easy to prepare. You can use it for tacos, burritos, salads, quesadillas… Let your imagination run wild! Get the recipe now on Foodal and make it today. 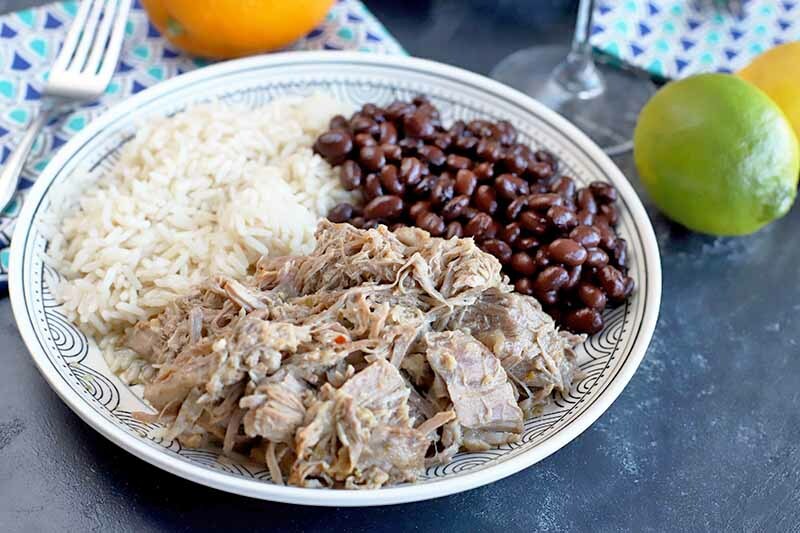 Easy slow cooker Cuban mojo pork is a fun twist on traditional pulled pork that comes together in a few simple steps. It’s a flavorful dish served up with rice and beans, and the leftovers can be enjoyed in nearly endless ways. The citrusy flavor is bold, bright, and the meat melts in your mouth. Get the recipe now. 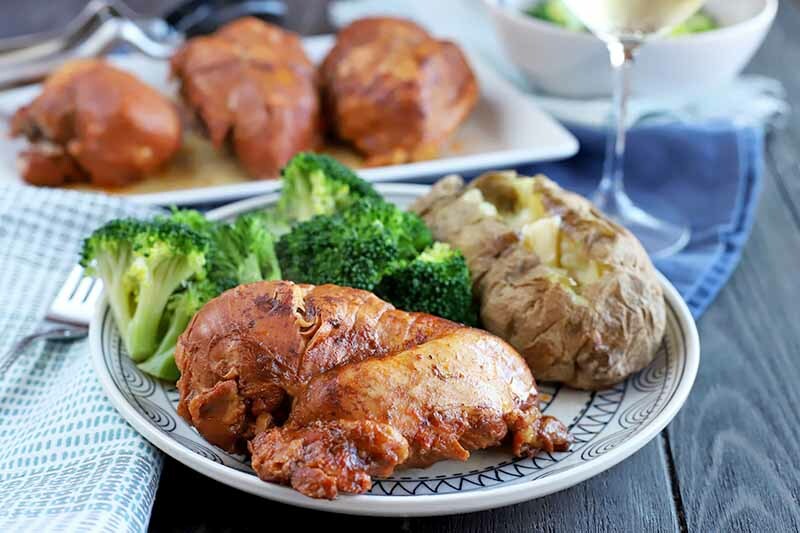 This is the best 4-ingredient slow cooker barbecue cola chicken recipe out there. Easy to make in a few simple steps, you’ll be surprised to discover just how flavorful it is. And arriving at home at the end of the day on a busy weeknight with dinner ready to go is always the best feeling. Get the recipe now on Foodal. Bring the family together with our pollo verde chili (chicken green chili). 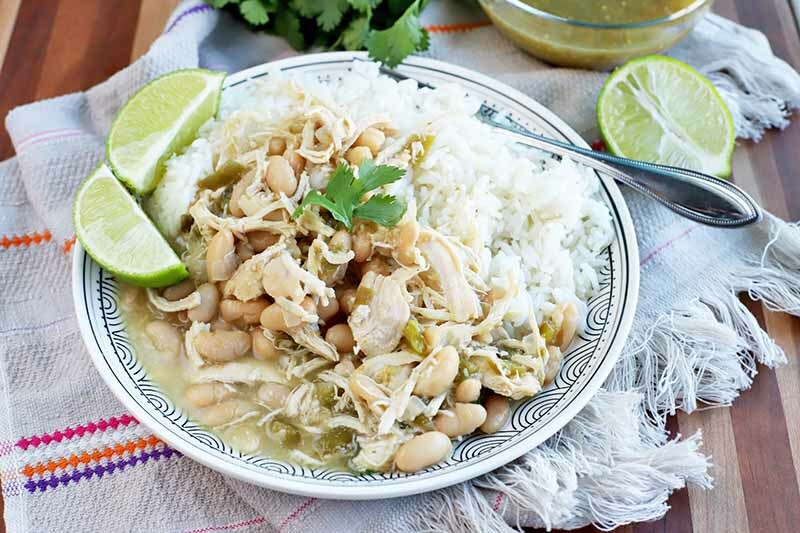 The comforting flavors of salsa verde, slow cooked poultry, beans, and the subtle heat of jalapeno hot sauce make for a bowl of happiness. It’ll become your new favorite warming recipe, perfect on its own or over rice. Get the recipe now. 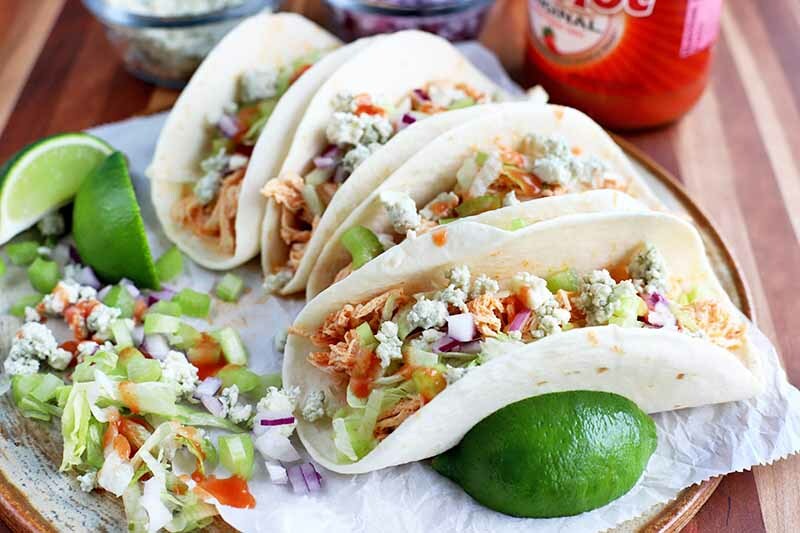 Your weeknight dinner gets a little twist with our epic Buffalo chicken tacos. The spicy flavor of the meat combined with cooling blue cheese and crisp vegetables makes for a mouthful of pure bliss. It’s all the taste of the wings you love, slow-cooked and extra juicy, with a kick. Get the recipe now on Foodal. 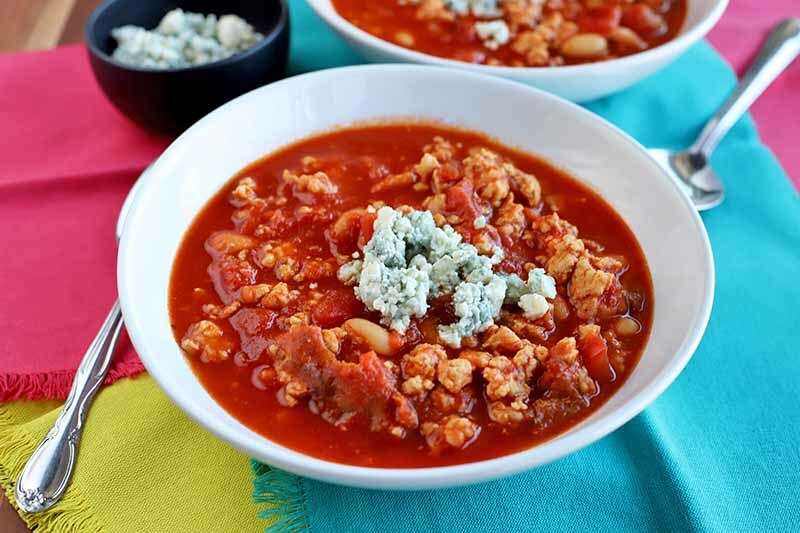 Host a winning game day party with our quick and easy Buffalo chicken chili. Every hot and spicy bowl offers the ideal blend of your favorite stew and the best wings, with tangy blue cheese crumbles on top. An unbelievably simple recipe to prepare, you can keep it warm throughout the game. Get the recipe now on Foodal. 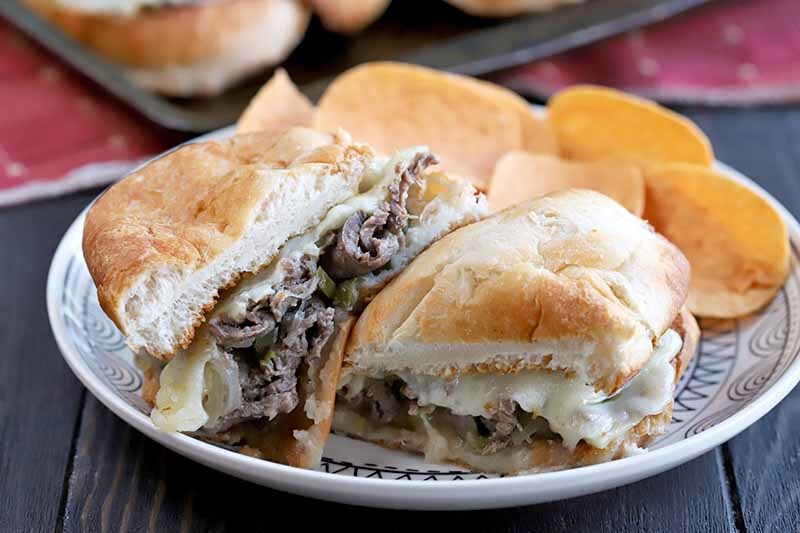 Sink your teeth into a bite of our Slow Cooker Philly Cheesesteaks and you’ll be adding these to your weekly menu rotation in no time. Hearty beef is slow cooked with peppers and onions to create a sandwich filling that is luscious and savory. Just beware: these are highly addictive. Get the recipe now on Foodal. 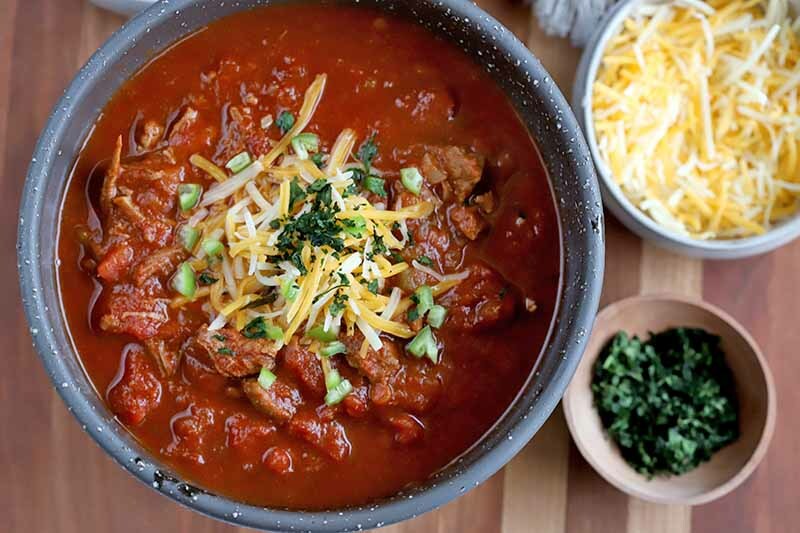 When it comes time to root for your favorite home team, you need the best slow cooker game day chili recipe to keep yourself fueled and cheering! The mix of spices and beef make this a stew that you will want to keep warming up with all season long. Plus, it’s easy to make in the Crock-Pot or Instant Pot. Read more. The best kind of meal is one that cooks itself. 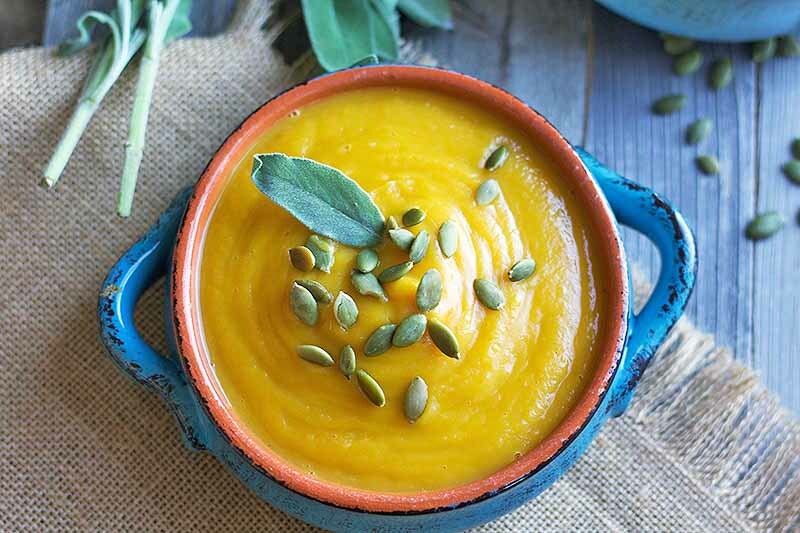 Show your slow cooker some love with this nutritious, creamy butternut squash soup. Made with vegetable broth and coconut milk, it’s vegan-friendly and gluten free. Read more now to add this recipe to your collection of slow cooker favorites to enjoy all winter long! Looking for a southwest inspired vegan or vegetarian recipe? 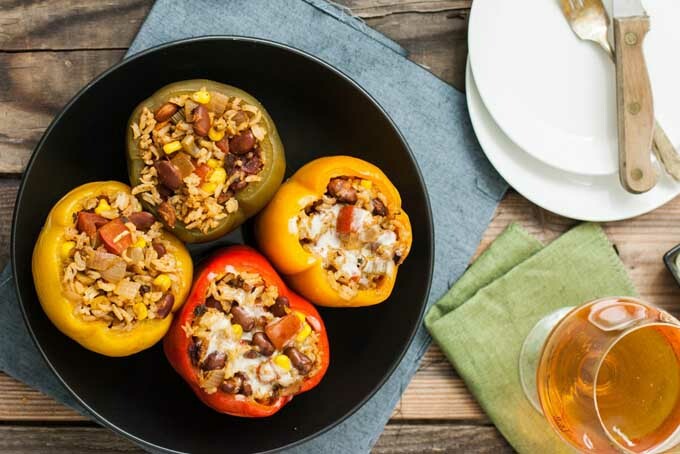 Try these tasty stuffed bell peppers that have loads of corn, black-beans and other tasty veggies. Add cheese on top for vegetarians and omnivores or leave it off for vegan eaters. Get the recipe now! Usually baked beans are floating in a sea of bacon and pork. 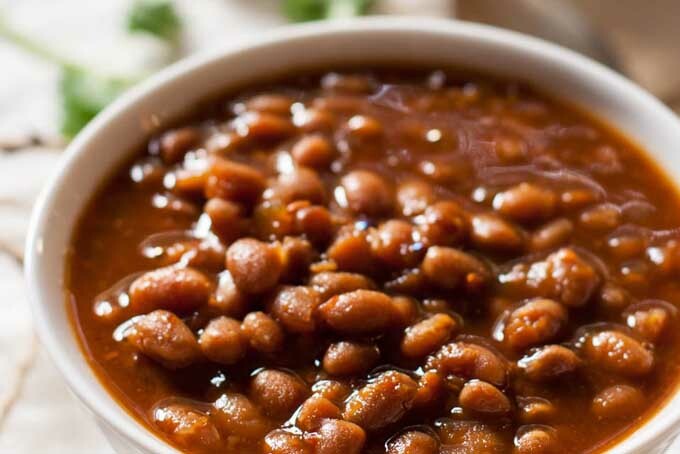 Now vegetarians can have their beans and actually eat them too with this tasty vegetarian slow cooker baked bean recipe. Get the recipe now. Hearty and savory, this classic stew is anything but ordinary. 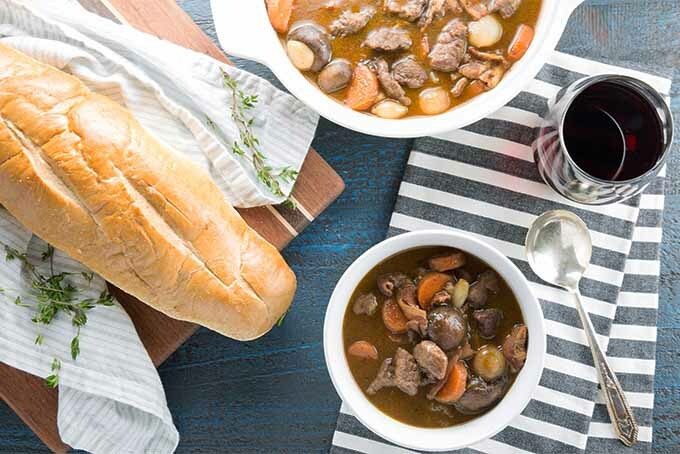 With our slow cooker method, you can enjoy beef bourguignon any night of the week. Paired with crusty bread and a good glass of wine, you’ll swear you’ve been transported to the French countryside. Fire up your Instant Pot and get the recipe now on Foodal.